Home > Products > Hit the Beach! The Southern California ASL Club, one of the better ASL groups, was also the publisher of Hit the Beach!, one of the better ASL newsletters. It had both good articles and high production values (Matt Cicero in particular helped it step up a notch); it was similar in nature and quality to the Texas ASL newsletter Banzai!! 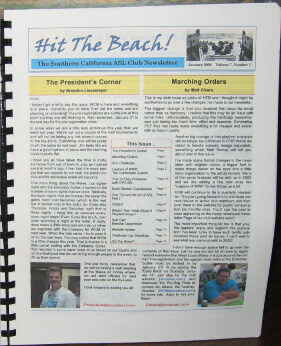 In the pages of Hit the Beach!, ASLers could find product reviews, scenario analyses, scenario play aids, interviews, tactical tips, player profiles, historical articles, book reviews, rules variants, designers notes, AARs, tournament news and reports, and articles about every aspect of the hobby from counter storage to play by e-mail. Unfortunately, no issue of Hit the Beach! appears to have been published since late 2004; the newsletter seems to have finally gone the way of all ASL newsletters–to the great After Action Report in the sky.